Nagpur- One of the farmers in the sit-in-agitation of MLA Ashish Deshmukh committed suicide on Monday by consuming insecticide behind the pendal. The agitation has been launched to get compensation for the bollworm and hailstorm damaged crops. From Monday they started the hunger strike and the suicide incident took place in morning. 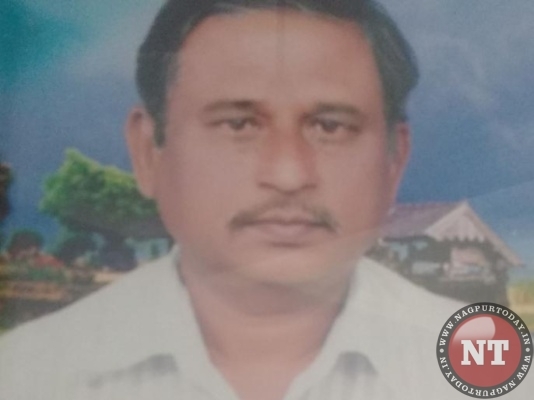 According to report, Dilip Mathuji Lohi, 52, resident of Laxminagar, Katol is originally from Kohali, Kalmeshwar Tehsil. His in-laws stay at Ladgaon, Katol and so he had come to stay at Katol along with the family. For some days he worked in Agriculture Produce Market Committee but was later terminated from work. He bought an auto to earn his livelihood. He would also take the farm on contract. This year he had taken Jeetendra Wanjari’s farm on contract. He had grown cotton in 4 acres but due to bollworm it was damaged and the wheat and Chickpea (Gram, chana ) where damaged due to hailstorm. He was quite worried as he would not have got back the production cost. After his dinner on Sunday night he left the home and did not return and Monday morning he was found dead behind the pendal by BJP’s Vijay Mahajan at 7.30 am.